Shock-absorbing and full protection: Raised bezels and lip for all corners can protect your screen and camera against shocks or drops. LuckyBaby premium handmade leather wallet series for iPhone X / iPhone 10 (5.8 inch) Q&A about our this product with wallet: Q1: What phone model is it compatible with? A: It's compatible with iPhone X and iPhone 10 (2017). Precise cutouts for speakers,camera and other functional ports allow you easy access to all ports and functions, without removing the case. Q2: What material is it made of? A: It's made of premium handmade leather and soft TPU which make it has a good touch and stylish look. Q3: How many cards does it hold? A: It can hold 3 cards and a folder cash. For best performance, only insert 1 card for each card slot. Q4: Does the card holder stretch out and lets the cards slip out? A: No. The magnetic button make you cards safety and security so you can't loose your cards; Q5: Is the card slot tight? A: No, it's not tight and it's easy to take out. Q6: Does it can protect your phone? A: Yes. Shockproof and full protection with this wallet case. It has a raised lip for all corners can protect your screen against drops and dumps. Q7: Does it support wireless charging? A: Sorry it doesn't. You should remove the case when wireless charging because the wallet part which need the space to insert daily cards is a little thick. Q8: Does it have a warranty? A: Of course, lifetime warranty for all LuckyBaby products, any problems please feel free to contact us for best solutions. Now, ditch your bulky wallet case and use our convenient creative and stylish wallet case! Package included: 1 x iPhone X case (5.8 inch) How to contact us? Log in Amazon account>find the order>click "Get help with order">choose specific subject>click Ask Seller. 1.Specially designed slim thin leather case for iphone X，anti-slip Surface on both sides to let you hold your phone more tightly and safely. 2.Premium leather made design, more top-grade hand feeling&flip wallet case, Card holder to conveniently store ID or Credit Cards. 3.Kickstand feature adjustable Viewing Angles for video watching&Magnetic Closure design keeps phone secure when not use. 4.Including the volume buttons and the mute switch, not just a TPU bumper guard for the sides or back, really full cover protection. 5.Your satisfaction is our biggest goal！If you meet any product question, please contact us with mail, we will fix your issue within 24 hours, giving you a satisfactory reply. 1.Specially designed slim thin leather case for iphone X，anti-slip Surface on both sides to let you hold your phone more tightly and safely. 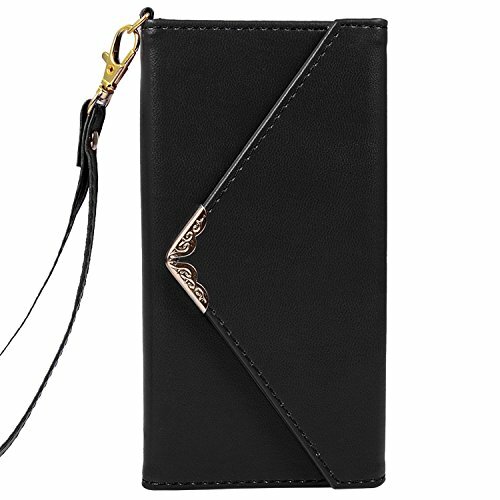 2.Premium leather made design, more top-grade hand feeling&flip wallet case, Card holder to conveniently store ID or Credit Cards. 3.Kickstand feature adjustable Viewing Angles for video watching&Magnetic Closure design keeps phone secure when not use. 4.Including the volume buttons and the mute switch, not just a TPU bumper guard for the sides or back, really full cover protection. 5.Your satisfaction is our biggest goal！If you meet any product question, please contact us with mail, we will fix your issue within 24 hours, giving you a satisfactory reply. Case Compatibility: Compatible with Apple iPhone X / iPhone 10 5.8 Inch 2017. Note: This case is ONLY for iPhone X. -Accessory only, phone is not included. Flip Wallet Case: 1. Two card slots for daily use, store your device, cards, and cash in this durable case. 2. The stand feature can provides you with adjustable & comfortable viewing angles to read your e-book or watch videos.3. Low Profile Design, vary colors and patterns for you, you can be on your way to looking good and feeling good with all your necessities in one case. How to install and take it off? Specially, we choose a TPU case instead of a plastic case attached on the inside. TPU is a hybrid material, a very dense and smooth rubber. Just snap it on, flap it shut, and you are ready to go! When you want to take it off, just do it, don't worry about that your phone would get scratches or the case would be broken. Package Contents: 1x UrSpeedtekLive Wallet Case + a Wristlet Strap This product is sold exclusively by Speedtek INC. Only buy from Speedtek INC to get genuine UrSpeedtekLive(TM) products with manufacturer warranty and superb customer service. 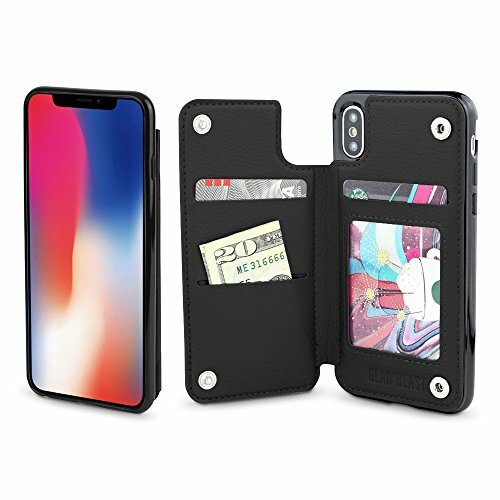 MULTI-FUNCTIONAL - Perfect for on-the-go use, the iPhone X card case features 3 card slots, a side pocket for money or additional cards, and a magnetic lock design. CONVENIENT TO USE - Precise cutouts for speakers, camera and other functional ports allow you easy access to all ports and functions, without removing the case. VIEW FROM ANY ANGLE - The Maxboost wallet case can switch to a horizontal position and act as a stand; perfect for entertainment or streaming. LIFETIME WARRANTY - From Maxboost to ensure the maximum protection for the life of your iPhone X Wallet Case. 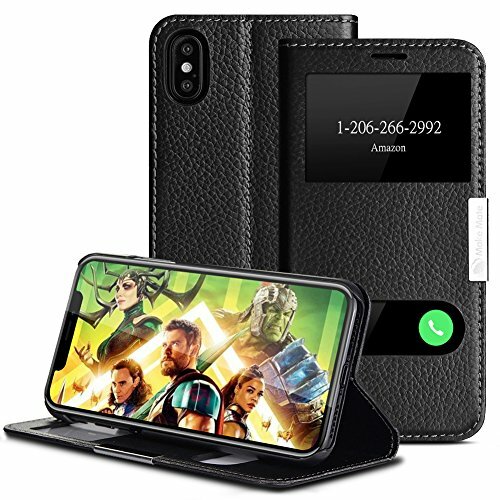 [Compatible with Apple iPhone X (2017) ONLY] STYLISH AND PROTECTIVE Quality crafted PU Leather iPhone X Wallet Case features multiple color options, as well as four corner and front and back protection. 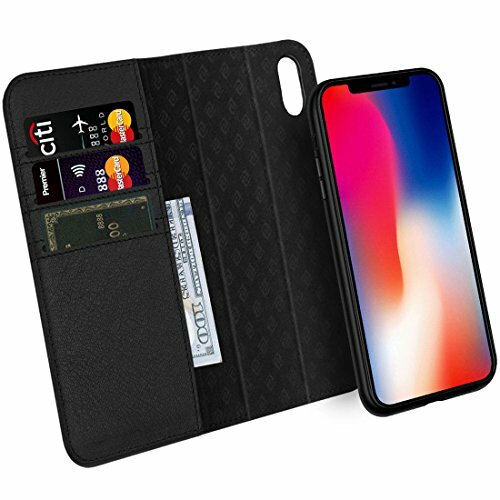 MULTI-FUNCTIONAL Perfect for on-the-go use, the iPhone X card case features 3 card slots, a side pocket for money or additional cards, and a magnetic lock design. CONVENIENT TO USE Precise cutouts for speakers, camera and other functional ports allow you easy access to all ports and functions, without removing the case. VIEW FROM ANY ANGLE The Maxboost wallet case can switch to a horizontal position and act as a stand; perfect for entertainment or streaming. LIFETIME WARRANTY From Maxboost to ensure the maximum protection for the life of your iPhone X Wallet Case. About us:We are Manufacturer, not Retailer! That is why we offer you the highest quality product with resonable price! Our factory was founded in 1998 and after decades of dedication and innovation, a mature Selection-Production-Examination-Sale-Post Service chain was shaped. As a worldwide factory, we concentrate more on quality of each product. Being Environmental-Friendly is a vital principle we stress all the time. Brand: In order to keep up with all other sellers and benefit our customers as much as possible, we managed to apply for brand protection in Europe ( Fyy) and Japan ( FYY), North America (FYY). International IPR: Going global is the main trend for all nations in the world. As a company, we adapt us to the main stream for a long term development. With the brand protected internationally and Intellectual Property Right of our own, our products will find its way that leads to you. Guarantee: For each product we make and put on sale, high quality is well ensured for your buyer's interest. For all our regular and potential clients, first class post-sale service of responsibility is provided for your perfect user's experience. For YOUR Convenience: We manufacture and sell cases for tablets and cell phones of many brands. Please search "fyy + your tablet/mobile+ color" to take the fastest path to the product you want and have a clear view of other cases we offer in store. Attention: We adhere adequate pictures for each product. It is noted that all pictures we shot are taken under the most natural condition we can ever create to show you how the products actually look like. Please understand that even so, the color difference may still exist at the different image resolution of our computers and mobiles. 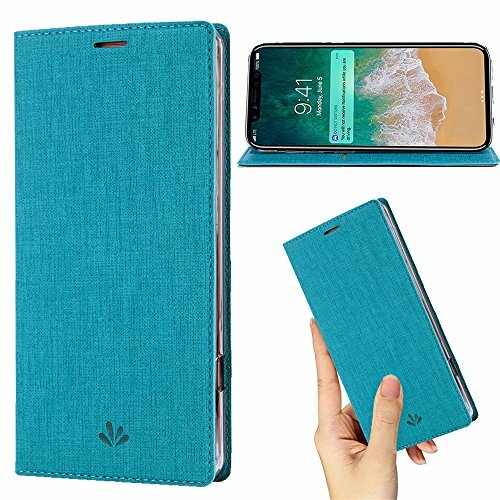 MATERIAL: Made of Advanced Synthetic Leather, this wallet protective flip cover with beautiful texture is comfortable to touch and grip, durable felt inner lining. NICE CONSTRUCTION: Leather cover case with card slots and cash compartment: 3 card slots inside of cover and 1 additional cash compartment. It allows you to easily access your cards or cash conveniently. You can just leave your "big"wallet at home. EASY TO USE: Perfect fit, slim and sleek design adds no burden to your phone, thin without bulky feel. Precise cuttings allow easy access to all ports and functions with the cover on. IPhoneX Phone Case Protective Flip Cover Slim style, without bulky feel. Made of Advanced Synthetic Leather, durable and soft feeling. This phone flip cover is thin enough to fit in the palm of your hand, fits your Phone like a glove. 3 card slots and 1 cash compartment allow to conveniently hold your ID card, credit card or cash. Cards fit safely in your cover, super pratical when you're out. The soft protective phonecase can cover the edges of both side. Help to protect the back side and the front screen. It holds the phone tightly and to protect all around of your phone from scratches, dust and fingerprint. Easy access to all buttons, change the volume, answer a call,charge your battery,take a picture camera, and listen to music without ever having to take off your cover. Stand View featuring enjoy videos without holding your phone by hand. COMPATIBILITY Specifically designed for your Apple iPhone X. Unique design provides full access to your iPhone's screen and all buttons, camera, speakers, charger port and connectors, even when the folio is closed This case is compatible with Qi Wireless Charging technology when the case is placed in an OPEN position FLAT on a wireless charger. The ability to charge may be hindered by credit cards or other objects containing metal placed in the wallet between the phone and the charger. CONVENIENT Phone case and Wallet in one! Folio style case allows you to take your phone and your daily essentials with you without carrying your wallet or purse. 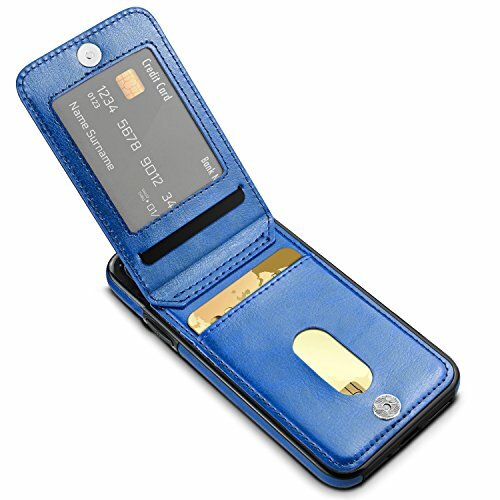 Case features THREE CARD SLOTS for debit, access or credit cards including a TRANSPARENT I.D. SLOT for easy access to your Photo Identification and a top-mounted PROTECTIVE TPU BUMPER CASE that makes your i Phone X easily accessible so that you never miss a call or important message. Filoto Classic Handmade Design: Vintage Magnetic Closure Flip Cover and a premium PU leather and soft shockproof TPU case without rough edges or trimmings. 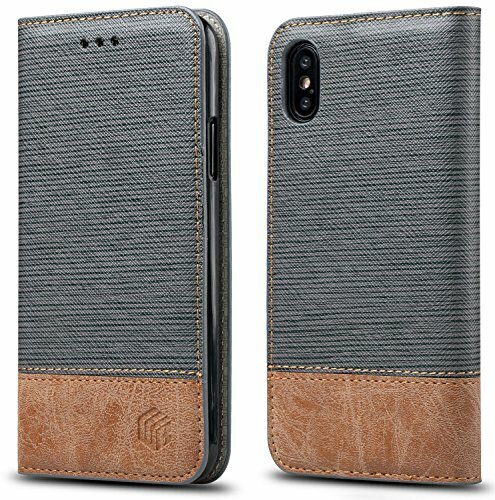 iPhone X Leather Card Case: Compatible with Apple iPhone X/iPhone 10(2017 Release) Personalized design perfect for man or women. Wallet Function: Included 3 card slots and 1 money pocket, carry around your credit and debit cards, and cash without having to take your wallet with you. Comprehensive Protection: The case covers all corners to keep the screen from scratching or touching the ground. Precise cutouts for speakers, earpiece, camera and other functional ports allow to access to all ports and functions easily, without removing the case. Focus on Apple Accessories: Quality guarantee, More steady and On time shipment. Unconditional replacement or refund if any quality problems, so please shop with confidence. Filoto iPhone X Premium PU Leather Wallet Case Every piece of our products is made with Real Genuine Leather by Leather Artisans, We Care about both Leather Materials and Craftsmanship. Highlight ★100% New and good quality, low profile Classic Handmade Design. ★Made of soft, durable PU leather, resists moisture, stains & stretching. ★Anti-Theft Card Slots, Separate slots for your ID and cards, as well as a pocket for cash. ★Full protection - protect your phone from dust,scratch and falling to the ground. ★Strong Magnetic Closure - The ultra strong magnetic closure secures the front cover. About Filoto •Design consumer favorite personalized products, the pursuit of higher quality to make, constantly create, trive to perfect. •We Different from other Seller, Filoto is a growing company, we will give customer a perfect shopping experience. •We have long-term partnership vendor, We are focused in the Apple Accessories and Sport Product. The quality is in consistency and more steady,on time shipment. Tips: Support wierless charging, wireless charging compatible without taking off the case. Crosspace customer team would endeavor to win 100% customer satisfaction. If you have any question, please contact us, we will fix your issue within 12 hours. Crosspace is the professional seller on Amazon, we are dedicate to provide our customers with the best service and great products. If you have any question about our products or service, just contact our customer service team, we will be always here for you! Thanks! Are you still looking for the most fashionable and Unique phone case,which can also protect your phone well? If so,look at here! 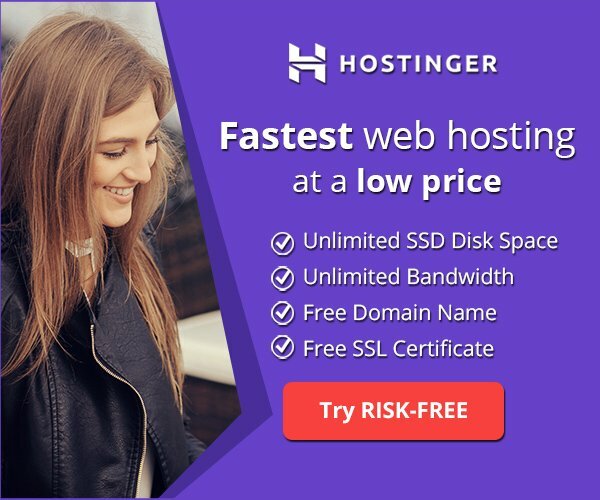 The item below is the best choice for you. 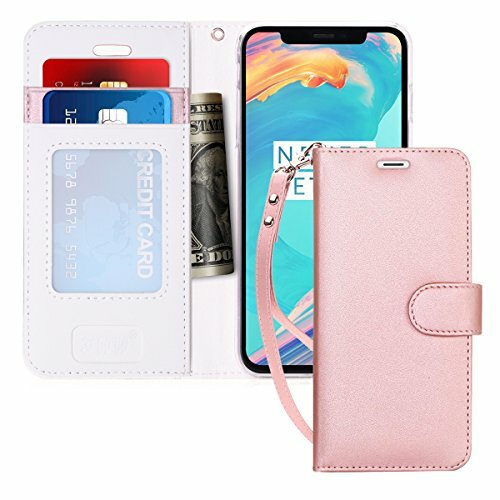 iPhone x Case, iPhone x Wallet Case, Crosspace iPhone x Envelope Flip Handbag Shell Slim PU Leather Women Wallet Magnetic Folio Cover with Card Holder Wrist Strap for Apple iPhone x(2017) More Detail information: Perfect Fit: -100% Perfectly matches with your iPhone x shape and make your phone personalized and fashionable Premium PU Leather Wallet case: -Made from high quality durable material to give excellent protection, Anti-scratches,Impact Resistant and Shock-Absorption Perfect Fit: Accurate Cutouts: -Precise cutting for all ports, camera and speaker, side button with Full cover protection Only Compatible for iPhone x (2017) Package: Package includes 1 iPhone x Envelope Wallet Case only, phone not included. Warm Tips: 1. Due to the different monitor,the color might be a little different from the item. 2.The more cards being put into, the magnetic closure function will be weaker. But,we use the N50 Pattern Magnet,it would be much stronger than the normal N38 Pattern. Soft Environmentally Certified Leather: We use only premium top-grain leather which is double tanned under gold-rated LWG environmental protocols, soft but not fragile. We believe that the pursuit of excellence in the material can match with the excellent iPhone X. And we constantly strive for best craft to serve you who pursuit the excellence. Not only a slim iPhone X case but also an iPhone X Wallet Case : With a clever detachable design, it can achieve a flexible switch between the iPhone x wallet case and the ultra-thin iPhone x case. * TIPS - Because of its minimalist design and durability , We don't use magnet buckle. The magnetic function is getting weaker when more cards are putting into. Please place the proper amount of cards. Support Wireless Charging and Magnetic Car Mount Holder : Through a removable metal plate design, it can achieve a flexible switch between supports wireless charging and supports for setting up on the magnet mount holder. Auto Wake / Sleep Feature : Open the case to wake iPhone X. Close it and iPhone X goes to sleep. 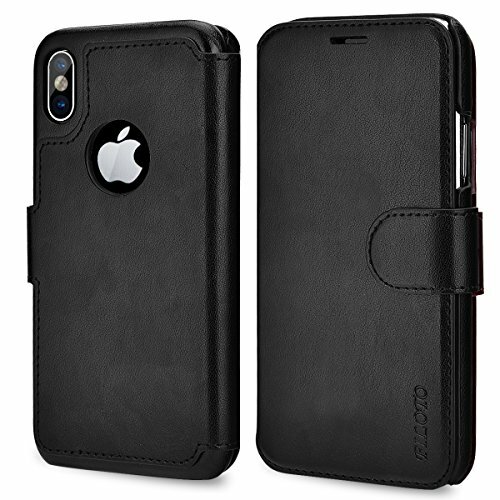 Zover iPhone X Detachable Leather Case - Inspiration Luxury Series Our vision has always been to create an iPhone X leather case which may fully protect your iPhone and hold your cash and ID card when you need it. It's portable and convenient, all magnetic car mounts holder and wireless charging suitable. We finaly made it become reality with lots of failure during the process. Premium Materials This iPhone X wallet leather case is made from specially tanned and finished European leather, has its own veins and natural pores. This is why it touches soft from the outside. Every case you receive from ZOVER is unique. With time and use, ZOVER's genuine leather case develops a natural patina. Excellent Craft As artisans of leather, we are committed to superior quality. Every stitch is done with exact precision and extreme attention to detail. We have produced cases that not only have that classic genuine leather feel, but also have a modern look and design. 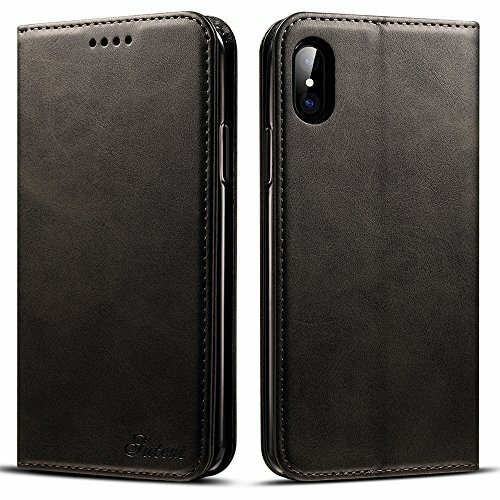 ZOVER leather case is a lifestyle.Graceful, Luxurious & Fashionable Business style leather case for your iPhone X. Function The magnetic clip allows for quick fastening and access. Convenient kickstand lets you watch videos or browse the web. Full degree of protection: Covers all four corners and includes raised edges and keeps the screen from scratching or touching the ground. Support Wireless charging and magnetic car mounts holder. Luxurious Packing Delivered in presentation packaging including elegant box and pouch, the perfect gift for yourself or your friends. 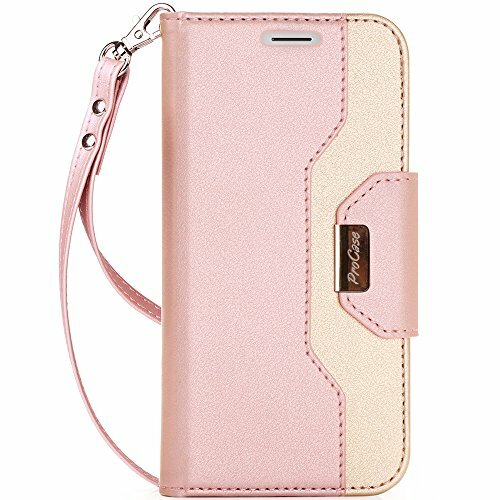 Please Note This wallet case is only for iPhone X(5.8'').Please check your phone model. SIMPLIFY YOUR LIFE AND ABANDON YOUR BULKY WALLET: Hold on to your essential credit cards, business cards, driver's license and IDs when you're on the go; at the gym, store, airport, office or anywhere life takes you! Your iPhone X leather wallet case from WenBelle includes 3 card holders and a currency pocket in one sleek, compact and professional package. For men and women. 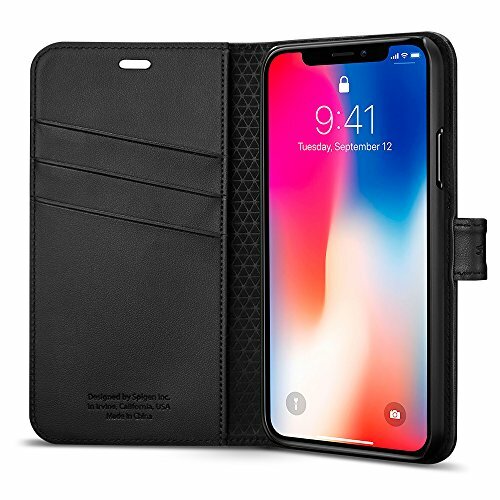 ENJOY STYLISH, PROFESSIONAL AND DURABLE LEATHER PROTECTION: Your Apple iPhone X wallet case is handcrafted from smooth, rich,faux leather (PU) with intricate, accented stitching.The Card Holder side is made of soft material to prevent scratching damage. It protects your Apple iPhone X rom occasional drops and splashes, letting you enjoy your iPhone X everywhere, all the time. SAFELY LOCK AWAY YOUR IMPORTANT CARDS AND CASH FROM PUBLIC VIEW: Our extra strong, double sided magnetic closure snaps the cover of your Apple iPhone X leather case shut to protect your cards and your phone screen. COMPLIMENT YOUR iPhone X WITH YOUR SLEEK LEATHER WALLET CASE: Your elegant Apple iPhone X leather wallet case slips comfortably into your pocket and fits your Apple iPhone X perfectly. It gives you seamless access to all ports and features, including a convenient speakerphone hole that allows you to talk without the need to open the cover. COMFORT VIEWING:Prop up your device into a landscape stand orientation to enjoy watching videos. 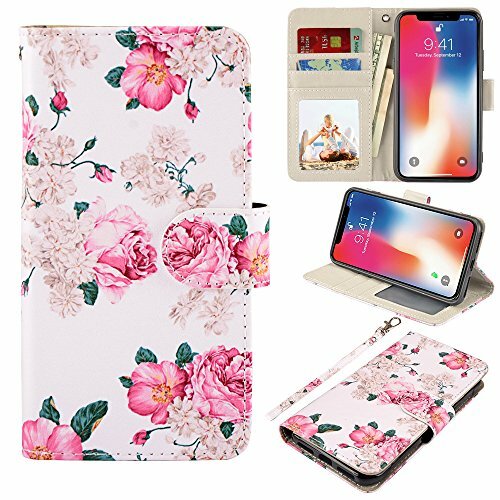 Apple iPhone X Slim Book Wallet Case with Stand from WenBelle This case is ONLY for the Apple iPhone X This PU leather case was especially designed for Apple iPhone X ; All the cuts are available for access to all functions for iPhone X . Card holder attached on the cover, available for putting credit cards, business cards and cash photo. Stand Function to provide multiple viewing Angle Luxurious and Durable PU Leather Your luxurious WenBelle wallet case is handcrafted from smooth and rich PU leather, including intricate and accented stitching to give your case a timeless and professional look. Our high quality leather is durable enough to protect your Apple iPhone X and your valuables from occasional drops and splashes, meaning worry-free use in any conditions. *PU leather is soft, durable and eco-friendly (no animals are used in its production). *PU leather won't stretch, deteriorate or fade. *PU leather has a smooth, consistent texture, which is easy to clean and maintain. *PU leather is resistant to stains and scratches. *PU leather is rain-and splash-proof and dries quickly. WenBelle Provides 100% satisfaction product to our customers. If there is any issue with the product, please feel free to email us. We will fulfill your request promptly without any hassle. 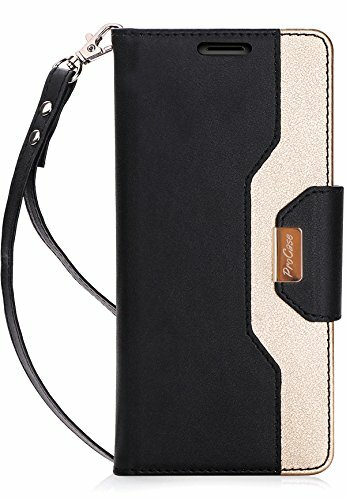 [PATENTED DESIGN IPHONE X (IPHONE 10 / TEN) WALLET CASE] The patented and unique design combines functionality and protection. The hidden card slot securely stores IDs, credit/debit cards, or transit cards, plus it does not interfere with Apple Pay. [MILITARY GRADE DROP PROTECTION WITH CORNERGUARDTM TECHNOLOGY] Dual-layer polycarbonate and TPU design meets military drop-test standard (MIL STD 810G-516.6), surviving 26 drops from 4 feet high. CornerGuardTM technology ensures that all four corners of the case are designed to absorb and disperse force from drops. 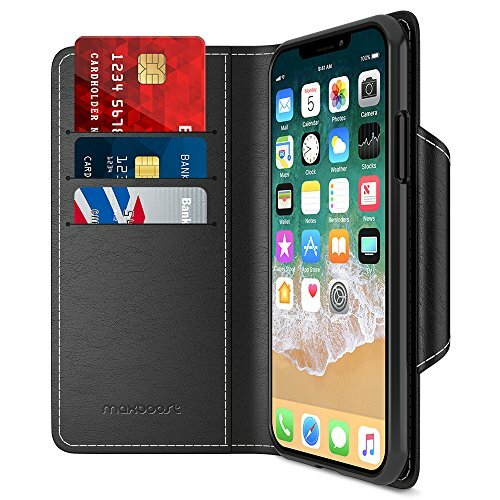 [COMPATIBLE WITH MAGNETIC CAR MOUNTS] This iPhone X (iPhone 10 / Ten) wallet case comes with metal plates incorporated in the flap, therefore no additional plate or adhesive is needed. 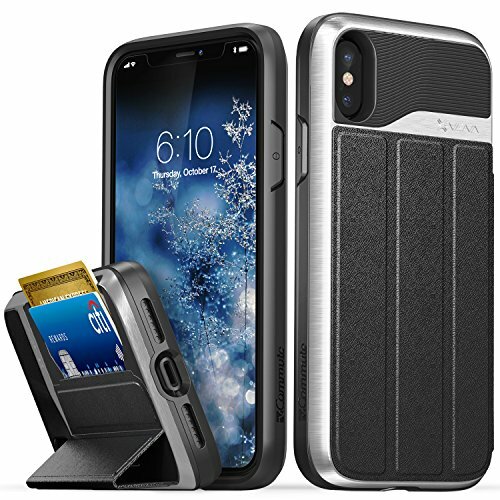 Patented iPhone X (iPhone 10 / Ten) Wallet Case With Vena's patented vCommute wallet, you can conveniently store your ID, credit/debit cards, business cards, or transit cards in the hidden card slot on the back of the case. Better yet, vCommute even works with Apple Pay. Multi-Angle Magnetic-Lock Stand This unique and versatile iPhone X (iPhone 10 / Ten) case features a leather cover that folds up in three different positions, giving you the convenience to watch videos and movies at your desired angle. Military Grade Drop Protection Made from high-quality polycarbonate (PC) and shock-absorbing thermoplastic polyurethane (TPU), this iPhone X (iPhone 10 / Ten) protective case has been drop tested to meet MIL-STD 810G-516.6, surviving 26 drops from 4 feet high. The TPU layer on the inside of the case does not stretch out over time and ensures your cards remain scratch-free. CornerGuardTM Technology With CornerGuardTM technology and a unique pattern, Vena's vCommute protects your iPhone X (iPhone 10 / Ten) and disperses the force from shock and impact through the TPU case. Precise Craftsmanship, Detailed Design The vCommute case is designed with precision cut-outs and provides effortless access to all ports, buttons, and features of your phone. The power and volume buttons are crafted to maintain the same great tactile feedback as your phone's buttons. Magnetic Car Mount Friendly The magnetic leather flap is compatible with magnetic car mounts - no additional plate or adhesive needed. Satisfaction Guaranteed A limited lifetime warranty is included with your Vena product. Visit our website for more details. Note: 1. The card holder can store up to 2 cards (subject to the thickness of your cards). 2. Please open flap for wireless charging. 3. Metal credit cards will interfere with wireless charging. Please remove before charging.